A sad day at SACSTW with the unexpected passing of Andrew Breitbart. Mr. Breitbart was a steadfast soldier in the conservative movement, completely unafraid to take on the most powerful progressives on the planet. Did that courage cost him his life? Less than 3 weeks after promising videos of Barack Obama's early days as a radical, this 43 year old man was dead. Is there a connection between the two? I'll let you decide for yourself. 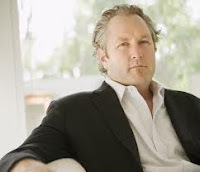 At 8:35 AM CST, The Crew informed me by text that Andrew Breitbart had passed. At 8:36 AM CST, this was my response: "Holy crap! Let the conspiracy theories begin." Little did I know that the Crew would be one the conspiracists. There are wacky conspiracies (the moon landings were faked!) and then there are conspiracies based on reasonable concerns (43 year old man drops dead the very day he has promised to reveal damaging information about a sitting President).